The youngest daughter of a noble, but ancient, family, Mia is seen her in full court regalia including the super high collar that is popular in the Eastern courts. She also has a goblet of .. red wine? 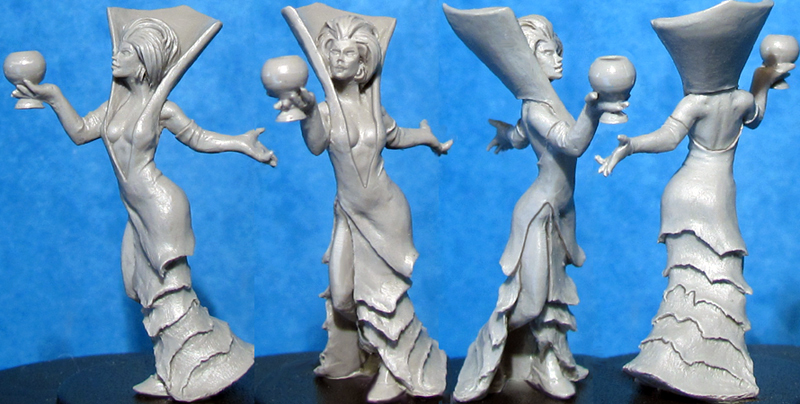 This is a Limited Edition Resin 'Master Casting' of Countess Mia, the standard white metal version (when available) can be found below. These Master Castings are strictly limited to however many we can get out of any Master Moulds before they deteriorate. These are about as limited as anything we've made and are the closest thing to Kev's original green as possible so hold the highest level of detail available.